Enhanced recovery after surgery (ERAS) protocols are multimodal perioperative care pathways designed to achieve early recovery after surgical procedures by maintaining preoperative organ function and reducing the profound stress response during and following surgery. Despite the evidence of improved post-operative outcomes and recovery, ERAS implementation varies in different centers. • early mobilization and early resumption of feeding. • reduced readmissions after discharge. Yet, even though the significant body of evidence exists indicating that ERAS protocols lead to improved outcomes, they challenge traditional anesthesiology and surgical doctrine. These protocols are not widely accepted and many hospitals and outpatient surgery center lack them. However, previously listed benefits of ERAS protocols suggest the need to further examine and better understand them. This is the overall goal of this Research Topic – to examine ERAS protocols and their implementation in different settings. 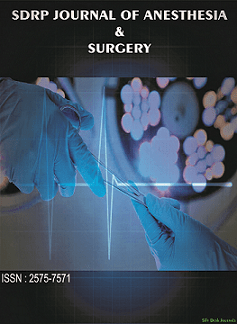 This Research Topic discusses particular aspects of ERAS protocols and anesthesiologist role in thoracic surgery, vascular surgery, colorectal surgery, abdominal surgery, obstetric surgery, gynecological surgery, urological surgery, pediatric surgery, outpatient surgery, robotic and laparoscopic surgery, neuro surgery and orthopedic surgery. Contributions in other surgical fields are also welcomed. Authors are encouraged to submit all types of articles relevant to this topic. Of special interest are the original research and review articles focusing on critical examination of ERAS principles and implementation.